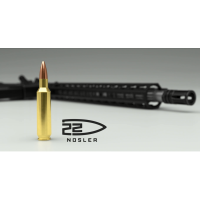 AR-15 6.5 22" Grendel Side Charger stainless steel competition upper assembly - side charger. This drop-in upper will attach to virtually any standard AR-15 lower assembly. 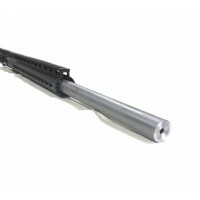 Available in 416R Stainless Steel threaded barrels, with 1 and 8.5" twist and rifle length keymod free float handguards. The free float handguard reduces the chance of accuracy-reducing pressure. CURRENTLY AVAILABLE IN SPIRAL FLUTE. DIAMOND FLUTE (SHOWN IN PICTURE) ETA: 2-3 MONTHS. 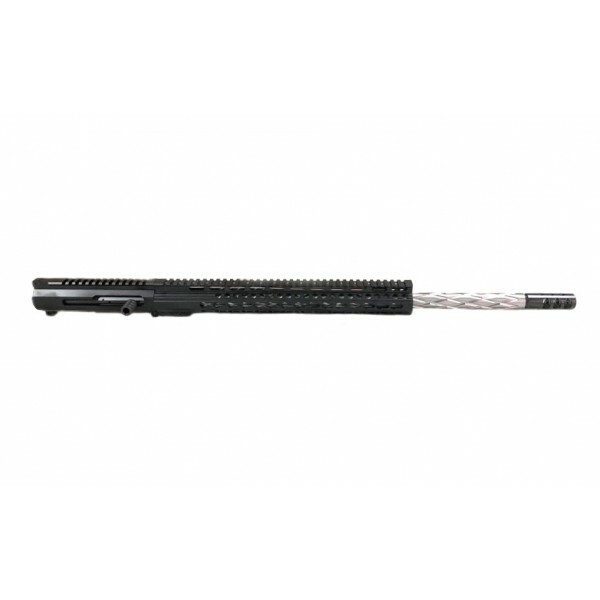 Barrel - 22" 416 stainless steel threaded fluted barrel. Hardened to 26-32 rc and stress relieved. Chambered in 6.5 Grendel Type 2. 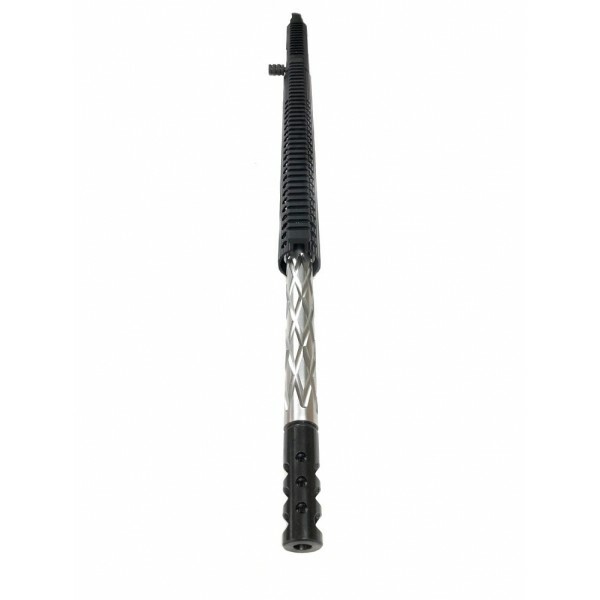 1-8.5rh twist for maximum performance. .936 under gas block. Threaded 5/8x24. M4 feedramps. Rifle gas system. Barrel is finished off with triport competition muzzle brake and crush washer. Side charging upper receiver - made from certified 7075-T6 billet aluminum. Black hardcoat anodized to Gov. Specs. M4 feedramps. Comes with Nitride BCG. 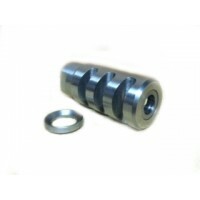 Gas system - .936 low profile gas block, made from stainless steel. Rifle length gas tube. Handguards - 15" rifle-length keymod free float rail. Made from aircraft quality aluminum and black hard coat anodized. Rails may vary in design, based on stock availability. The same excellent quality.